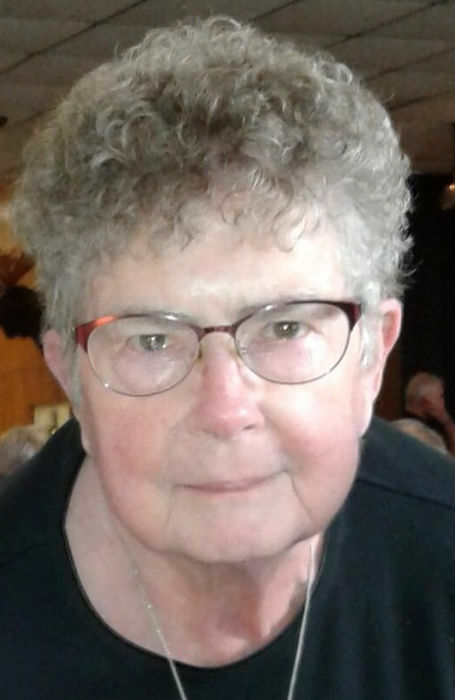 Dolores C. Hughes, nee Gore, age 85, of Belleville, IL, born on November 30, 1933 in East St. Louis, IL, died on Tuesday, February 5, 2019 at St. Elizabeth’s Hospital, O’Fallon, IL. Dolores was a graduate of Notre Dame Academy in 1951. She worked at Blessed Sacrament School and Rectory as well as at the Shrine of Our Lady of the Snows. She was a member of Moose Lodge #4 in Swansea, IL. Dolores’s father was a volunteer sheriff; and her grandfather, James Joseph Arnold was a detective for the East St. Louis Police Department. He was killed in the line of duty on February 11, 1913. Dolores was fond of police officers and would often times buy their meals. She also had a pen pal, Dorothy “Aunt Dot” for many, many years she would correspond with. Now her daughter has followed in her footsteps by corresponding with “Aunt Dot’s” daughter, Dot. Dolores was one in a million and will certainly be missed. She was preceded in death by her husband, James O. Hughes; and her parents, Alec and Lillian, nee Arnold, Gore. Dolores is survived by her daughters, Alice McFarland of St. Jacob, IL, Rebecca Hughes of Orlando, FL, Cary (Les) Burton of St. Louis, MO and Dee Dee (Doug) Ligibel of Palm Harbor, FL; her grandchildren, Cary Echols, Dolores Echols and John Geister; 6 great-grandchildren; and her brother, James (Marian) Gore of Normal, IL. She is also survived by nieces, nephews, cousins and friends. In lieu of flowers, donations may be made to Family Hospice of Belleville, IL or to the Belleville Area Humane Society. Visitation will be held on Sunday, February 10, 2019 from 4:00 p.m. to 8:00 p.m. at Kassly Mortuary, Ltd. Fairview Heights, IL. A funeral procession will leave Kassly Mortuary, Ltd., Fairview Heights, IL at 9:30 a.m. for a Mass of Christian burial at 10:00 a.m. on Monday, February 11, 2019 at Blessed Sacrament Catholic Church, Belleville, IL with Fr. Matt Elie officiating. Burial will be in Mt. Carmel Cemetery, Belleville, IL.